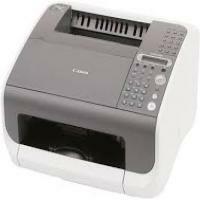 The canon L120 is a multifunctional printer with copying, faxing, printing capabilities.The printer is a versatile device which gives output at the modest speed making it a suitable option for home users.Using the Canon L120 toner cartridges with Canon L120 ensures that this cartridge follow strict specifications and is unlikely to cause any printer issues. The Canon L120 toner cartridges reduces paper wastage and gives you clear, bright and vibrant output. The printer has a printing resolution of 600 x 600 dpi, fax resolution of 300 x 300 with activity report, automatic redialing, smoothing, transmit verification report features. With the compact size the Canon L120 can easily fit into the home and offices. Like most small fax machines, it requires top media loading. The printer provides different dialing features: directory dialing, redialing, dialing through a switchboard, and temporary tone dialing. The printer features an automatic document feeder with a 30 sheet capacity.The printer has a small memory that is not a desired option for a heavy use or high speed applications.With a digital display and a simple phone/fax switch, the phone interface is easy to navigate. Although the printer is capable for multiple operations but it is suitable only for light usage. The Canon L120 is a monochrome laser printer which do not have the most user-friendly broadcast setup, but , it's faxing is fast, prints are clear and crisp, and general setup is easy to accomplish.The printing and copying speed of the printer is 12 pages per minute which is slower than even most inkjet printers due to its low cost.This compact printer is suitable only for light applications. Q. The printouts obtained have missing colours, I have not used my printer for a long time. Is there anything I can do? A. Perform a head cleaning cycle, if the printer is not been used for a long time. Use the software issued with your printer. It might be possible that the printhead in your printer or on your Canon L120 toner cartridges is probably blocked. To resolve this type to issue we recommend you to perform proper maintenance operation by regular cleaning the cartridge contacts or by printing 1-2 test pages at intervals if you do not use your printer frequently. Q. How long would it take for Canon L120 toner cartridges to be delivered to me? A. If the order is placed on our website before 12 noon, the product will be delivered to you in 1 to 2 days. We can deliver the Canon L120 toner cartridges or any other product only between Monday and Friday from 9am to 5pm. If you place the order on a weekend the product will deliver by Monday morning. If your product is urgent, you can simply contact us on 048 308332211 and we will try our best to deliver the product to you as fast as possible. Q. I want to buy the ink cartridges in bulk. Can I store them for a long time? A. Yes, the cartridges can be stored for long. But the risk to store them for a long time is that the ink inside them will start drying up with time as the minimum shelf life of the cartridges is about 6 months. If the Canon L120 toner cartridges are stored correctly in cool and dry place and are used before expiry date printed on them, the ink cartridges will work fine with the printer. Q. What is the paper capacity of the Canon L120 printer? A. Canon L120 printer can accommodate around 150 sheets and comes with one paper tray. Q. Is this printer budget friendly compare to other printers of same range? A. Yes, this is a most affordable laser printer for printing light applications, and cost-effective in nature than the other comparable models. Due to its versatility this printer can perform print, scan, and fax function so smoothly. Q. What happens if I fail to collect my order for the Canon L120 toner cartridges? Do I have to order them again? A. Our Fastway courier partners aim at delivering the orders between 9am - 5pm (Monday - Friday). They will attempt to make two deliveries to your door and any unsuccessful deliveries will be returned to our warehouse. Any further delivery attempt will incur an additional charge of €4.95 including VAT. If there is any time constraint or deliver related query you can contact our customer care service for further assistance. Q. Do you offer any guarantee on Canon L120 toner cartridges? A.We will replace or refund the item within 12 months following the date of purchase if the product found to be faulty. For further terms and conditions about the cartridge, refer to the terms and conditions section given below on this page. Q. What items do you offer other than the ink or toner cartridges? A. We provide a variety of products on this site that comprise of label tapes for label printers, general purpose paper that is perfect to suit your basic printing needs and Bluetooth products (headphones, earphones, and wireless speakers). Q. Is my printer compatible to print with Mac machine? A. No, unfortunately the printer is only compatible with Windows-based computers and does not allow printing through Mac machine. Q. Will I get the same number of printed pages, if I compare in-between the original and the compatible Canon L120 toner cartridges. A. Yes, you will get the same ink volume to print around 2000 pages in black while printing from the compatible or original ink cartridges.